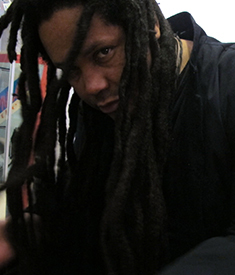 Jamal Moss has long been a part of the Chicago Advante Garde Dance & Art Noise/Freeform scene as both a Promoter, Producer, and Record Selector. One of the last of the line of producers directly influenced by Ron Hardy at The Muzic Box & Influenced by Sun Ra / John Cage /StockHausen/ Larry Heard/ Cris & Cosey - the Free Jazz & Experimental Noise Visionaries of the past. He was also taken under the wing of house legend Adonis & Steve Poindexter, who became key mentors in Moss’s life and an inspiration for his moniker.